My Blueberry is just twigs now. All the leaves are long gone! Is it an annual or a perennial? Perennial, for me! And I’m surprised as I thought the cold might kill them. They are native to S. Africa so I was worried they wouldn’t overwinter. 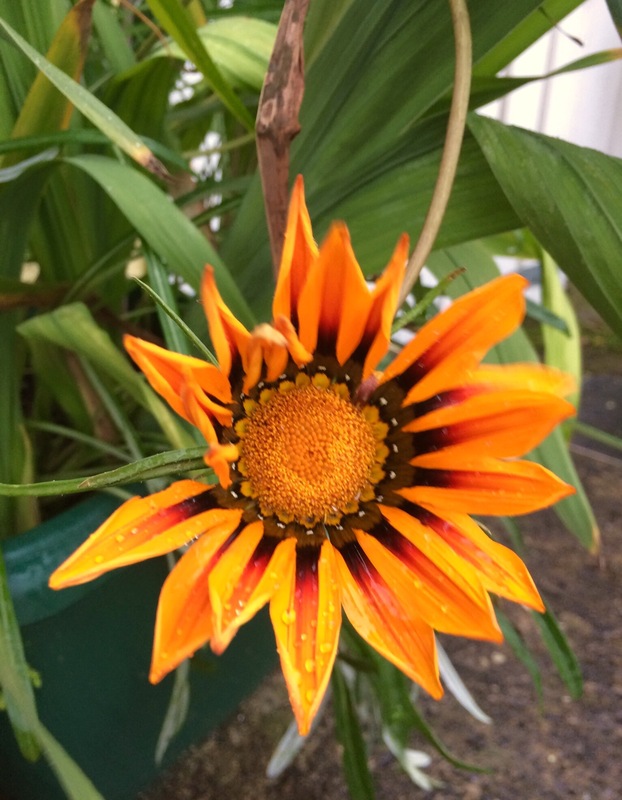 I had some annual Gazanias last year that survived right through to March… Then I think they just gave up out of exhaustion! How the HELL can you get gazanias to grow like that? I have never seen them more than a few inches tall. Really? I thought you’d know for sure! Maybe because they are in a container with tall plants they had to go high to get sun? I didn’t expect it either. I’m serous.I have never even heard of them growing like this. Are you sure this is not a first? No idea. 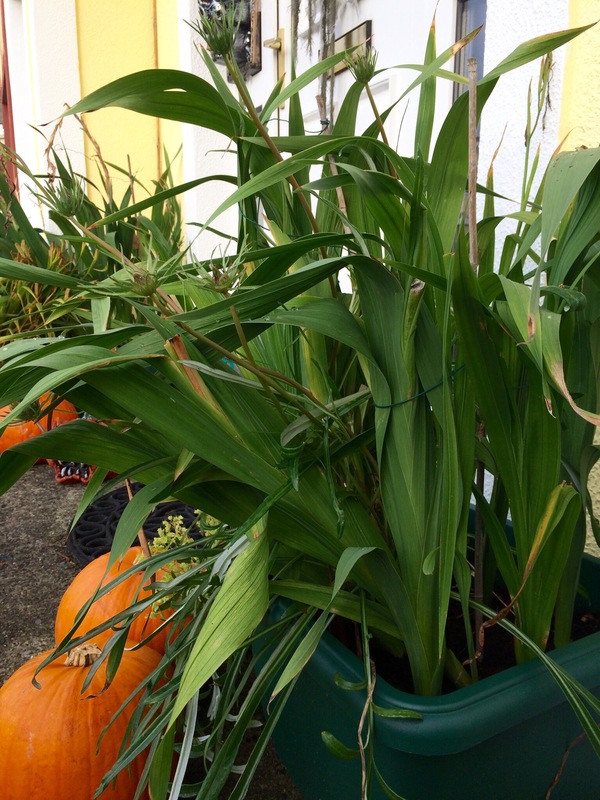 I have them in two pots, with gladiolus in both, and peacock orchids. All fresh and new this year… they were all tiny and short at first, then sent up these massive flower stalks. The leaves are exceptionally long, too. Well, they are an eye’opener for me I can tell you for a fact. Well, hell. I just wish they have a chance to open up. The buds have been there for weeks, but no sunshine. Hope so as well. And take more photos of these trifids! I’ll try! They have been in wait so long. The one that did open up (same in both pictures) actually broke from the wind, and I propped it back up. I never even posted pics of the glads. 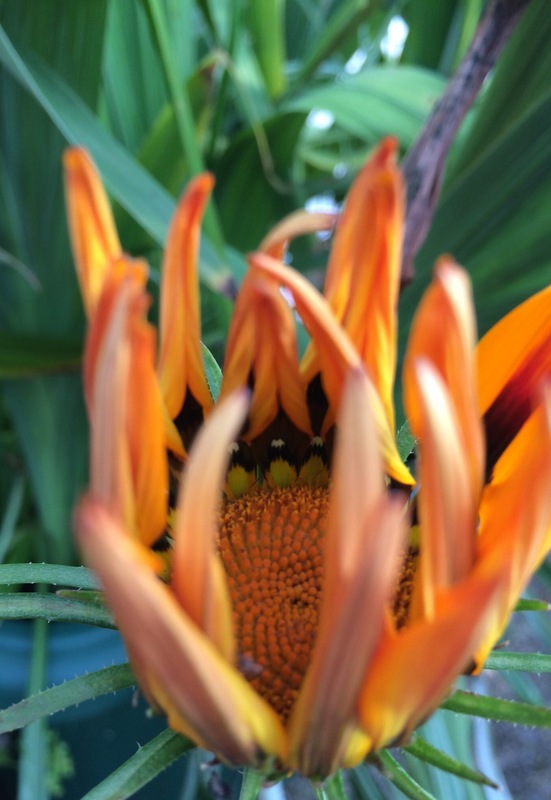 They have come and gone but the gazania were working on blooming the whole time. Odd thing is, I’ve not fed any of my plants in months now. I feel guilty as I normally do it every two weeks. I keep running into fully blossomed rose bushes around here. But we are almost in the South. Yesterday I saw well adorned rose bushes next to a stand of cactus. I had no idea what blueberry leaves looked like; those are spectacular. They are quite a stunning fall bush! Giving all year around. 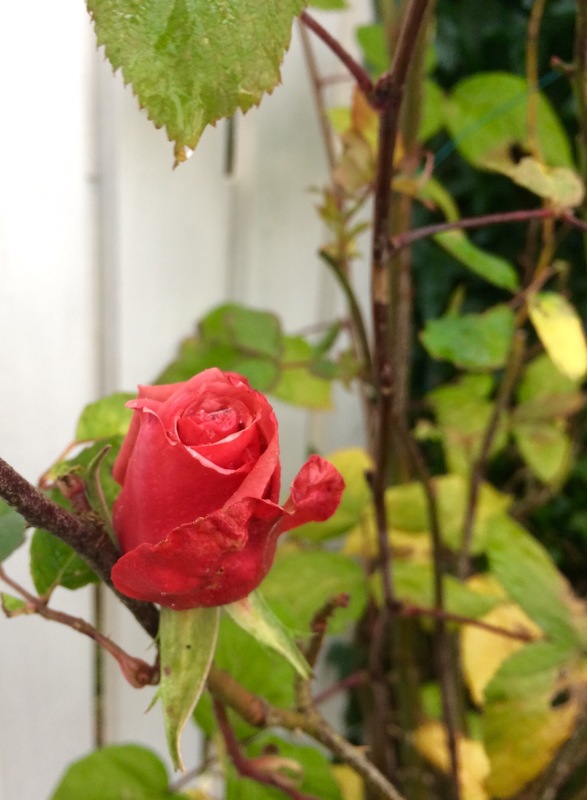 Roses in November… My word, Europe really is having a warm autumn and early winter. I’m just waiting for my poinciana tree to come into bud, then I’ll know Christmas is on the way. There are some spectacular specimens around the place already. It was 0 this morning! But oddly October wasn’t the windy hell it normally is. Hmm. 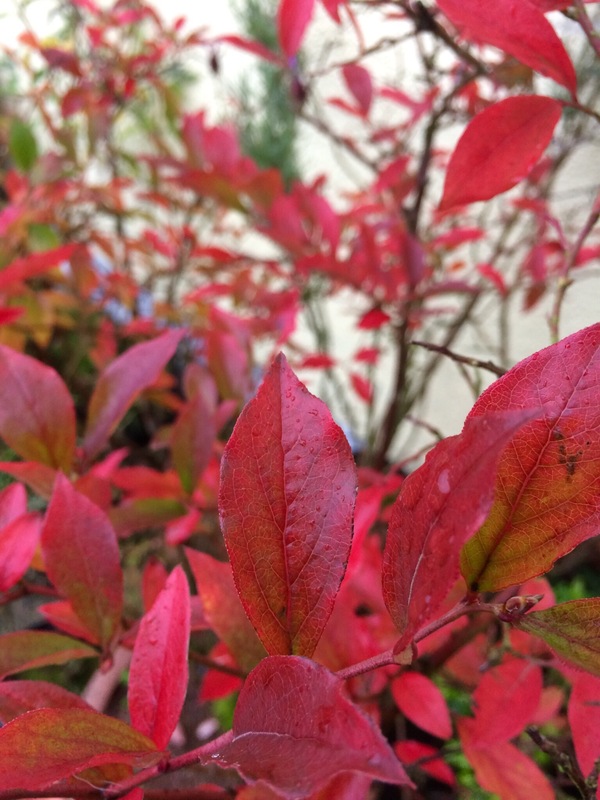 Riotous colour for November in Ireland!